This might not be for you. And we did something about it. Better than the pollsters who’ve gotten every important event of the last few years dead wrong… from Brexit to Trump to the U.K. populist upset. Better than the Fake News journalists rewriting press releases from lying politicians. And better than the Wall Street “experts” whose advice always seems to be that things are “looking good” for companies at the peak of a bubble and “looking bad” for companies that have just gone up in flames! 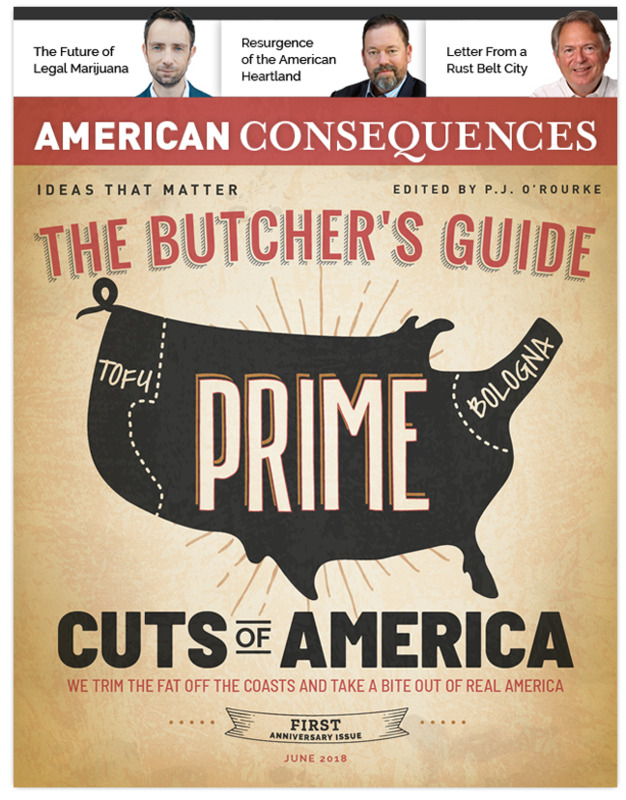 That’s why we started American Consequences – a new, online magazine about what’s really happening in American finance… and what’s about to happen next. The first thing you should know is that American Consequences is 100% free. There’s no subscription fee… no “paywall”… nothing. Simply sign up below and get it delivered to your inbox each month. The mysterious middle of America that few folks on the Coast understand. It's blamed for weighing down GDP... for electing President Donald Trump... even for holding on to cultural values that are no longer politically correct. And advertising exec and lifelong Toledo resident John Fedderke asks whether the Rust Belt city will shine again? Financial analyst Matt McCall talks about the future of legal marijuana in the U.S... while author and feature writer Geoff Norman brings us a long read from Vermont, one of the front lines of the American heroin epidemic. P.J. asks, "What's up with the Farm Bill?" There's plenty of manure here to spread around. And Bill Bonner shares an essay from the slaughtering yard that you should keep handy –there's a chance we all end up raising hogs in our backyards. ProPublica's Alec MacGillis wrote a great article just after the 2016 election that we're republishing – mostly because we suspect that most "Coastal elites" still don't get it... It's not about people loving President Donald Trump. It's about people hating them. Then, our anonymous top lobbyist shares how bills are really passed in Washington D.C... Bestselling author Turney Duff details a chilling experience about trading tragedy. And Buck Sexton talks about a growing Coastal panic, what if the so-called "blue wave" doesn't happen? If you've ever felt that something is wrong with American today – this issue is for you. To start reading now, enter your email below. It's 100% free and you can unsubscribe at any time. American Consequences is edited by P.J. O’Rourke, author of 19 books including Eat The Rich and How the Hell Did This Happen: The Election of 2016. P.J. 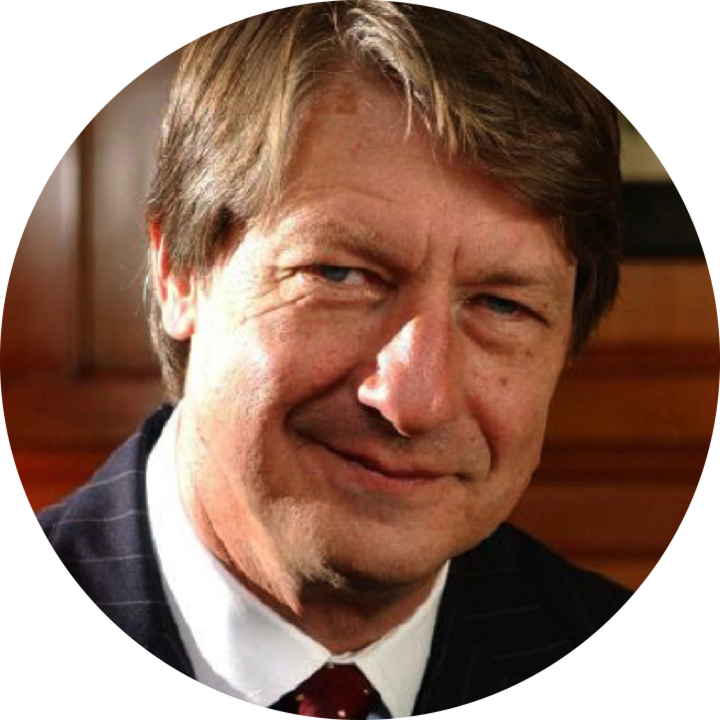 cut his teeth as an editor-in-chief of the National Lampoon and a foreign affairs correspondent for Rolling Stone. He’s since written for The Weekly Standard… The Atlantic… and many other magazines. P.J. is the H. L. Mencken fellow at the Cato Institute, a member of the editorial board of World Affairs and a regular panelist on NPR's Wait… Wait… Don't Tell Me. He lives with his family in rural New England, as far away from the things he writes about as he can get.